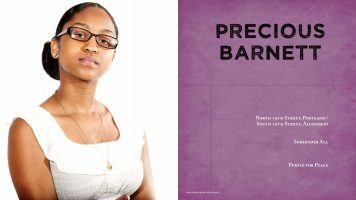 Eight resilient young authors vividly describe their experiences in often-overlooked parts of Louisville. Louisville's best-selling book in 2014! 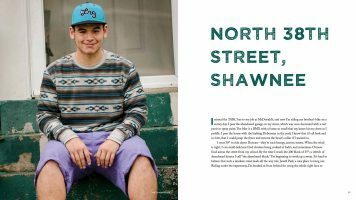 In our first book, eight young authors from The Academy @ Shawnee (formerly Shawnee High School) describe their lives in the Louisville neighborhoods of Shawnee, Portland, Iroquois, and Algonquin. They tackle diverse topics such as experiences in the juvenile justice system, learning to fly an airplane, the stresses of unstable housing, the lasting impacts of small acts of kindness and support, the challenges of life after a severe head trauma, and the untimely deaths of loved ones. 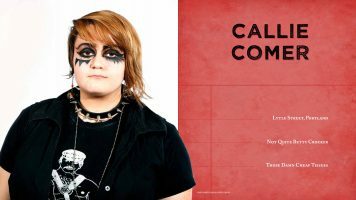 Alongside their accounts are stories of friends and family members whom they have interviewed. 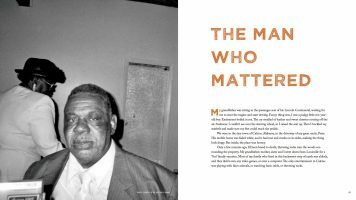 The vibrancy of their voices and the substance of their stories are testaments to their resiliance, courage, and writing talent--and to the richness of lives in often-overlooked parts of Louisville. "An inspiring story of perseverance." 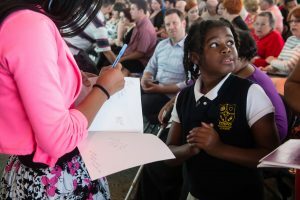 In the spring of 2013, the Louisville Story Program partnered with The Academy @ Shawnee to offer all members of the school’s junior class the opportunity to participate in an extracurricular writing project. 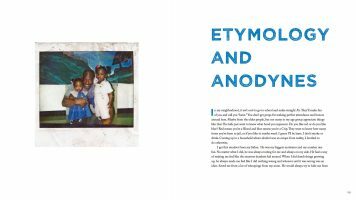 Eight students were excited by the idea of publishing their stories in a professionally designed book, and brave enough to trust LSP as we were conducting our first-ever project. Earning a paycheck for their participation, they spent the summer in writing workshops led by LSP staff and other professional writers and journalists. They read great literary nonfiction and did writing exercises to learn about craft, working their way through a college-level creative writing curriculum. They also received training in oral history interview techniques, and spent many hours in the field with digital recorders conducting participatory, community-based research—interviewing family members, friends, and neighbors. Throughout the fall of 2013 and into early 2014, authors met with LSP staff in classrooms after school, in public libraries, at home, and in coffee shops. They also took photographs in their neighborhoods with the assistance of professional photographers and sourced photographs from family albums to accompany their stories. It all culminated in Our Shawnee. 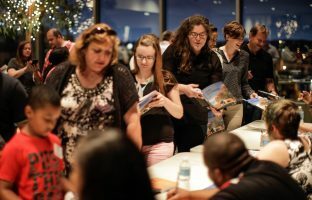 Over 400 people celebrated the authors' achievement at a book launch party at the Muhammad Ali Center, and the book went on to be the best-selling book in Louisville in 2014. 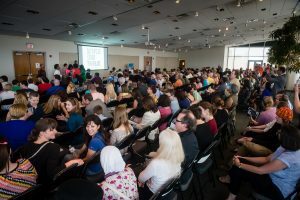 Authors earned scholarships, jobs, paid speaking opportunities, and opportunities to advocate for their communities--for example, by being paid panelists at Jefferson County Public Schools' Equity and Inclusion Institute.